Marguerite Caine's parents are both genius physicist and have invented a device that allows the user to jump between alternate dimensions, by basically inhabiting the body of the alternate version of themselves. Before the device could be properly tested, however, Marguerite's father is killed in a car accident and her parents' research assistant, Paul Markov, has disappeared into another dimension with the only finished Firebird device. Her parents' other assistant, Theo Beck, has luckily kept two of the early prototypes of the device and fixed them up enough that he and Marguerite are able to follow Paul through the dimensions. Marguerite wants revenge for what Paul did, and initially, at least, she wants to kill Markov for his betrayal of her family. As she and Theo follow Paul through successive dimensions, some very similar to their own, some vastly different, she comes to realise that there may be a reason that Paul is on the run, and it's not because he's her father's murderer. I read a lot of positive reviews of this book when it came out in 2014, so when I found the book in an e-book sale in October of last year, it was a pretty natural thing for me to buy. This is the first book in a trilogy, which is now completed, so there won't be that pesky wait for the sequels that is so very common for me when I get impatient. 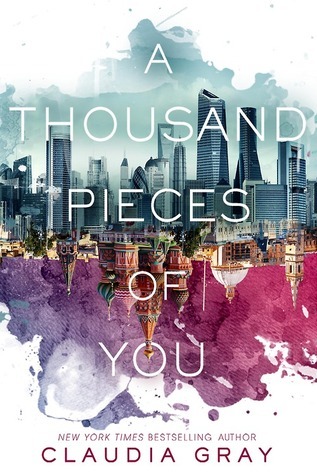 There is a lot of promise in this book, but as is the case in so much YA, there is a fairly annoying love triangle, with the two differently handsome and morally ambiguous dudes vying for the attention of our heroine. Marguerite herself, thanks to a convenient plot contrivance early on, of course turns out to be much more than just a normal young woman and while the dimension hopping normally comes with a number of negative side effects, she seems immune to all of them. What I did like is that while Marguerite has grown up surrounded by scientific geniuses, she is an artist, and views the world rather differently from them. She's by no means stupid, but in the way of many teenagers, rather rash in her judgements and possibly a bit too impetuous for her own good. If I were a teenage girl myself, I may have found her two love interests, Paul and Theo, more appealing, but I found that while the sci-fi elements and the dimension hopping was pretty well developed and the overall world-building was good, the characterisation was rather lacking. The story is told from Marguerite's point of view, but there is not enough time given to let the readers get a proper idea of who Paul and Theo really are, and therefore I really couldn't root for either of them. I do want to emphasise how fun the various alternate dimensions are though. In one world, most of the world is submerged, and most people live in colonies under water. In another, the characters all find themselves interacting in an alternate version of imperial Russia. Those parts of the book were probably my favourites. The plot is also quite predictable, which in itself isn't a bad thing as this book is clearly mainly set-up and I am about twenty years older and a lot more widely-read than the target audience of this series. I liked the story and characters enough that I'll be checking out the sequels, but I'm hoping for some more twists and turns in the stories to come. Rating a book by its cover: The covers for these books are so great. The contrasted cityscapes, with the Russian domes and towers on the bottom and the futuristic skyscrapers on the top, both evoking locations in the story. The very simple font - I love it.